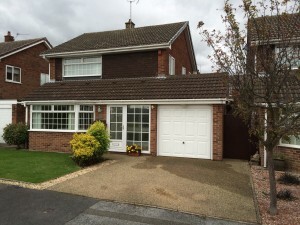 Byron Doors’ range of garage doors covers all types and styles. Built by the UK and Europe’s leading manufacturers, our garage doors have the highest standards of quality and design. 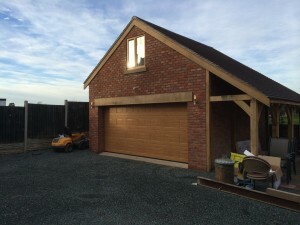 Garage doors are available with many different types of lifting system and many different designs. Byron doors will help you choose the right type of garage door with the right design to match your house. Our range of standard designs will enhance your property and our bespoke style appliques will bring that personal touch to the front of your home. Our garage doors are offered in a large range of materials. They use the highest quality steel, built using a welded (not riveted) construction method meaning strength is standard. Roll-formed and extruded aluminium sections mean durability and long life whilst hand selected, responsibly grown and sourced timbers add beauty. Long lasting lightweight GRP (fibreglass) brings style without the worry of future maintenance. Adding automation to any of our garage doors will bring an extra dimension of individuality. They can be used with a range of different control equipment from radio hand transmitters to bio-metric finger print scanners, all have built in safety systems. Opening your garage door has never been so safe, secure and easy. Improving your home, increasing security, adding insulation, or automating for easier living, Byron Doors can help you make the garage door choice that’s right for you. Our garage doors are among the most dependable in the industry, so you can feel good knowing that we’ll be there — day or night, winter or summer. For added peace of mind, our home garage doors have also been proven to be durable and long lasting. The reliability of your garage door will help you stay on schedule in the morning. Its beauty will greet you at the end of a busy workday, opening convenient, comfortable passage to your home. And through the night, the security of your garage door will help you rest assured that your family is safe. Byron Doors’ supply chain of garage doors is a who’s who within the industry, offering great quality of product and service along with design and style features. Byron Doors have the tools to make your home amazing. Byron Doors offer its great installation service and after-sales care for garage doors across the following areas.